But the ultimate challenge is – how do we achieve our health goals when life gets in the way? 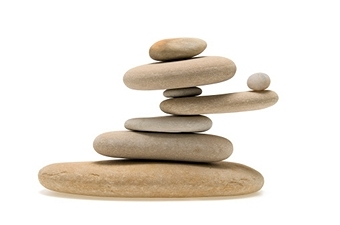 We are all searching for balance and meaning in our lives. Every day we create ourselves and our reality. This book was conceived by a chiropractor and a life coach. These two professionals identified a need, through their respective practices, for a new approach to creating wellness in our lives. Both have thriving practices and very busy schedules, yet they find time to incorporate many of the strategies you’ll find in this book. After coaching hundreds of patients on physical and psychological wellness, they felt it was time to combine their research and expertise to help others become empowered and make positive life changes. What do busy, multi-tasking people need to know about being well and staying well? They need a resource that has sifted through and deciphered all of the information out there to shed light on what is fact and fiction. Awareness is the first step toward change, but you have to take it to the next level in order to reap the benefits. Busy people have little time to find answers to their questions or even to know what questions to ask in the first place! We can’t always rely on everything we hear or read. The internet, media and advertisements are fantastic tools, but we have to be aware of potential bias. Your well-being may take second place behind their bottom line. Wellness on the Go is here to inform, guide and make you accountable for the imbalances in your life. To get the most out of this resource, we encourage you to take the time, sit down and answer the Ask Yourself questions and action the Wellness Strategies. Don’t rush through it – make a commitment to yourself and to the people who love you. Wellness is a journey, not a destination. Enjoy the process and share it with your friends, family and co-workers so they too can lead a wellness lifestyle. Preview a chapter of Wellness on the Go now. We all sweat, so it’s not surprising that 90 percent of us regularly use antiperspirants and deodorants. In fact, sales of these products are only exceeded by one other bathroom staple – toothpaste. You likely use deodorant to mask underarm odor or use antiperspirants to reduce sweating. Unfortunately, health concerns over both are growing. If you have to use one, go with a deodorant. Antiperspirants clog and close your pores, inhibiting you from sweating; this is not a normal or healthy thing… Preview Chapter here. Dr. Nathalie Beauchamp, B.Sc., D.C. is the owner of Beauchamp Chiropractic, an Affiliated Creating Wellness Center. With over 200 Centers world wide, Beauchamp Chiropractic is one of the first clinics in Canada to offer these unique wellness services. Dr. Beauchamp is passionate about empowering the people in her community to live to their fullest potential by living their best lives in all three dimensions of life – physical, psychological and biochemical. Her passion for wellness is infectious and she passes that along to her patients through her expertise in the areas of fitness, nutrition, lifestyle and wellness. Dr. Beauchamp is a certified personal fitness trainer, a professional natural bodybuilder, a wellness consultant and lecturer, television personality and motivational speaker. Her mission is to bring wellness and optimal health to everyone in her community. 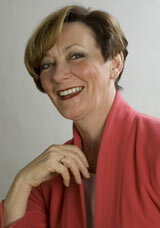 Andrée J. Benson, BA Adult Ed., CMIC is a Certified Master Integrative Coach, a facilitator and training consultant. As a Life and Career Coach she loves to support her clients in reaching their full potential to live a brilliant life. She is compassionate, intuitive and very positive. She has had the opportunity of coaching very successful men and women and assisted them in reaching new heights in their career and personal lives. Her twenty years progressive experience in the training and professional development industry gives Andrée’s client the added benefit of extensive business knowledge. Andrée is an exciting and charismatic speaker. She has facilitated numerous workshops on strategic planning and change management. Andrée has also trained thousands of people in seminars and workshops on Change Management, Stress Management, Career Transition, and Coaching as a Leadership Tool to name a few. 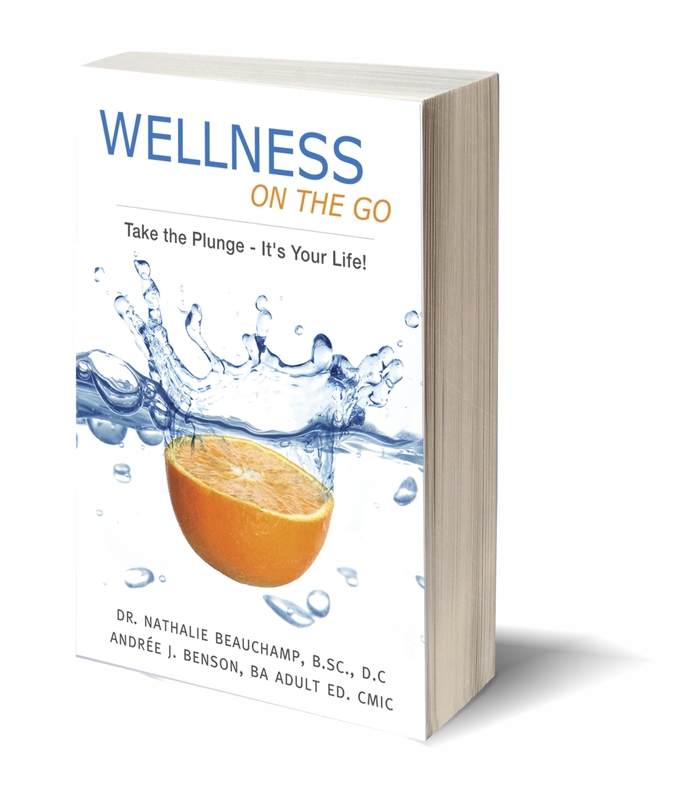 Dr. Nathalie Beauchamp and Andrée Benson appear on the A-Channel to discuss their book, Wellness On the Go.